Are There Home Remedies For Sand Colic In Horses? Horses living in sandy, dry areas are often prone to sand colic. This is a condition that happens when horses ingest sand along with their food. Sand impaction prevents a horse from being able to pass gas or feces and this can cause very severe pain, infection and even death. In this article we discuss sand colic and share some home remedies to help you prevent and treat it. Read on to learn more. 1 How Can You Tell If Your Horse Has Sand Colic? 2 What Are The Best Steps For Prevention Of Sand Colic? 4 What Can Be Done About Sand Colic? 5 What Happens In Sand Removal Surgery? How Can You Tell If Your Horse Has Sand Colic? If your horse is suffering from sand colic, he may seem mildly depressed. He may also lose his appetite and show signs of abdominal pain, such as looking at his belly or flanks. Horses in severe pain may kick at their stomachs, paw the ground, roll or even thrash around on the ground. 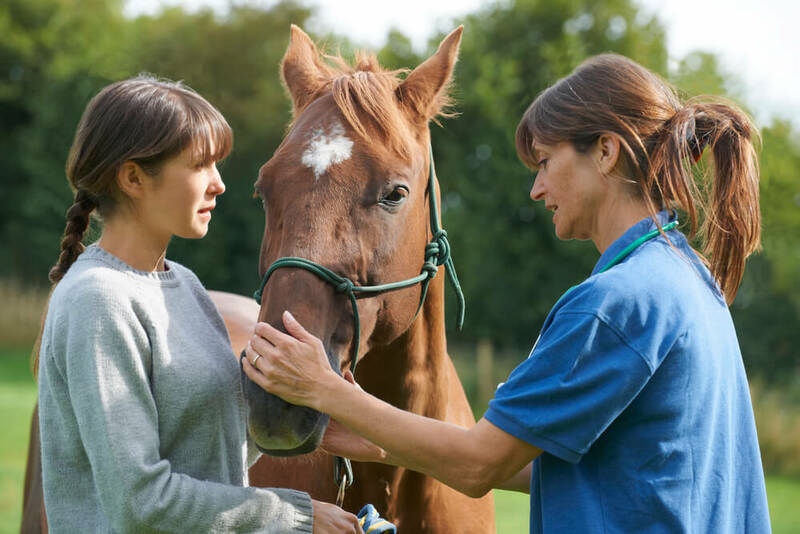 If your horse exhibits any of these health symptoms, you should call your vet for a proper diagnosis and treatment. Sand colic can be diagnosed based on a number of different signs. 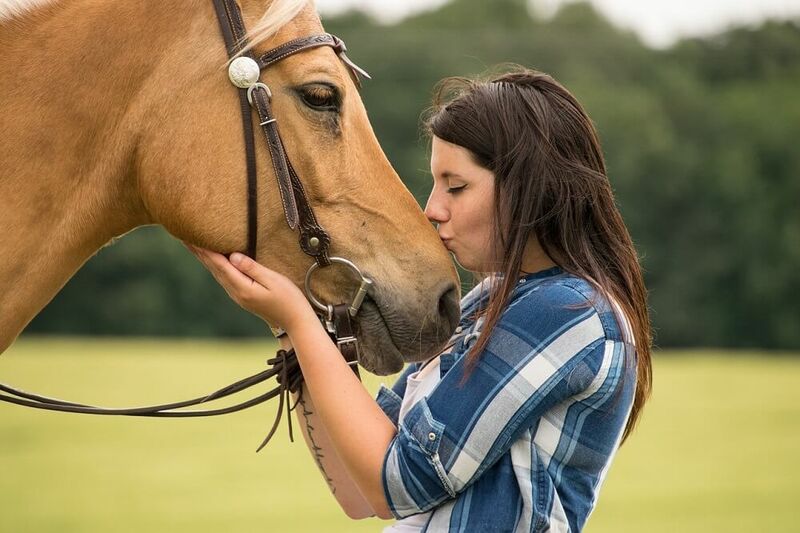 Your vet will observe your horse’s behavior and examine your horse’s environment. 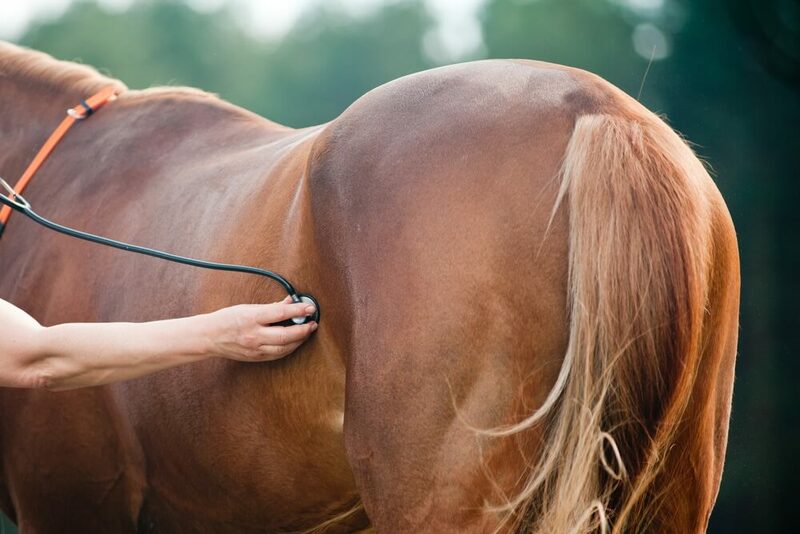 The vet may use a stethoscope to listen for sand in your horse’s intestines. More technical testing includes taking x-rays or performing a sonogram. What Are The Best Steps For Prevention Of Sand Colic? With sand colic, an ounce of prevention is definitely worth a pound of cure. If you live in a sandy area, you should be especially careful regarding how and where you feed your horse. These six simple steps can help prevent your horse from ingesting sand. Never give your horse its feed directly on the ground. Always feed your horse on a solid surface. Laying a rubber mat in the feeding area helps prevent your horse from picking up sand along with hay and spilled feed. To prevent your horse from seeking something to nibble on close to the ground, be sure that he always has plenty of hay. Feed your hay in a manger or a hay net rather than tossing it right on the ground. Avoid turning your horse out onto an overgrazed pasture. Rotate your grazing areas if possible to avoid having the grass eaten down to the dirt. Feed your horse before turning him out so he won’t be so voracious. Taking an edge off your horse’s appetite may help slow down his grazing so that he doesn’t pull grass up by the roots and eat the whole thing, sand and all. Add soaked beet pulp to your horse’s diet on a regular basis to help keep him full and clear sand from the intestines. Provide ample clean drinking water at all times. In addition to beet pulp, tapioca pearls or chia seeds can also be helpful. Both help agglutinate sand so it can pass from the horse’s intestines. Tapioca pearls are far less costly than chia seeds and are available in bulk. Add about an ounce of either tapioca pearls or chia seeds to soaked beet pulp daily for three weeks of every month. In the fourth week, add a quarter cup of psyllium instead. If you are using psyllium hulls or pellets instead of powder, you will need to ad more. Think of psyllium as a laxative because that’s exactly what it is. Don’t feed it every day on an ongoing basis. To feed psyllium hulls or pellets preventatively, you can add a couple of cups per 1000 pounds of bodyweight daily for one week out of every month. Alternately, you can add this amount to the feed once a week. What Can Be Done About Sand Colic? Use of laxative products such as mineral oil and psyllium (e.g. Metamucil) can help stimulate the intestines while causing the sand to stick together (agglutinate) making it easier for it to pass through the intestines. In general, once sand colic has set in, mineral oil is better for treatment. Psyllium is better for prevention as some research has shown that it is not especially effective at actually removing impacted sand from the intestines. If you think your horse has sand colic, call your vet. An impaction that stays in place for an extended period of time provides a fertile breeding ground for bacteria. 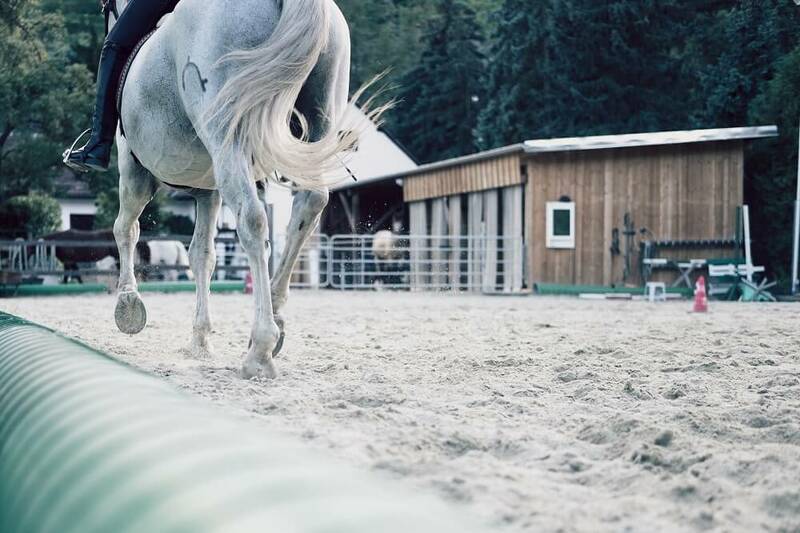 For this reason (even if you are able to get the impaction to move) your vet may prescribe antibiotics to help protect your horse from infection caused by absorption of bacteria from the inflamed bowel. In severe cases, surgical intervention may be necessary. This is why prevention and early detection and treatment are so essential. Be sure your horse always has plenty of clean water to drink both as a preventative measure and as treatment. Hydration through drinking and possibly over-hydration via intravenous fluids can help prevent and move a sand impaction. What Happens In Sand Removal Surgery? Removing the sand surgically is a tricky procedure. The horse must be put under general anesthesia, and the most moveable section of the large colon must be pulled out of the abdomen and laid on a sterile tray or hung down over the side of the operating table. At this point, the surgeon makes a fifteen to twenty centimeter incision in the colon. The contents are flushed onto the floor or into a collecting system. These contents are rife with bacteria, so it is very important that none come in contact with the exterior of the colon or any part of the abdominal cavity. Failure to protect against this will result in infectious peritonitis. After all of the sand has been washed out of the large colon, the incision is stitched up and the bowel is put back into the horse. Horses who undergo this surgery have a 60-65% chance of survival. It’s easy to see that untreated sand colic can kill a horse, as can surgical treatment. Luckily prevention and early detection and treatment can completely eliminate the need for surgery. It may not be possible to entirely control all the factors that may lead to sand colic, but be sure to take smart preventative measures and keep a sharp eye out for telltale signs of this problem. Doing so can mean all the difference between a simple, non-invasive remedy and dangerous and costly surgery.